Executive Coaching for C-Suite and Senior Executives Headquartered in Portland, OR. Success for a senior executive can be elusive. The decisions are tough, often needing to be made with insufficient information. Execution is a challenge, compounded by resistance to change and varying degrees of engagement. And if that weren’t enough, we all have blind spots. It doesn’t matter how bright we are, how educated we are, or how experienced we are, we all have them. These blind spots can cause us to misdiagnose problems, overlook solutions, and miss opportunities. Executive Coaching discussions can help an executive better understand people and their behaviors, and these insights can help an executive become more inspiring, have greater influence within the organization, and be better able to manage conflict. As an unbiased sounding board, an Executive Coach offers fresh perspective to allow making those difficult decisions with more confidence and certainty. By developing the best strategies possible, growth and profitability will be accelerated, execution of strategy enhanced, and relations improved with the executive team and Board of Directors. SOUNDING BOARD – Often, the evolution of a company is conceived during open discussions of ideas, but most executives don’t have the right “sounding board”. It requires an environment within which an executive’s inklings, ideas, and concerns are brought to light, challenged, and expanded. FRESH PERSPECTIVE – Outside perspective is essential as a catalyst for creative, game-changing strategic thought. Additionally, outside input is necessary in order to uncover blind spots and move past them. 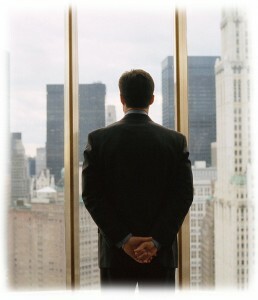 Every executive needs an objective, supportive confidant with whom to complain, vent, confide in, and talk things out. OBJECTIVE ASSESSMENT – Everyone an executive works with (including a spouse) has a need to either maintain the status quo or make changes that benefit them or their turf. This self-interest is normal, but may lead to a lack of objectivity. An executive needs an objective, expert assessment. STRATEGIC THINKING – The best strategies will leverage strengths, minimize risk, and balance long-term with short-term needs and goals. Executives must carefully think through possibilities, assess and manage risk, and then select the strategic plans with the best potential. HIGHER PRODUCTIVITY – Given the demands placed on us, it is critical to improve productivity, efficiency, and effectiveness. Maintaining a high degree of mental acuity, an even-keeled emotional state, reasonable physical reserves, and the capacity to communicate in an effective manner is essential. "Michael has been an advisor, consultant and confidant for the last two years. In my role as president of a $400 million company, he has provided both strategic and leadership guidance. Throughout our time together, Michael has demonstrated an impressively broad strategic skill set. His unique perspective and ability to ask penetrating questions has driven measurable improvement in areas as wide ranging as company strategy, business operations, leadership development, management reporting, and employee relations. I have become a better leader and our company has become more successful due to Michael's influence"